PHH Environmental (UK) Limited provides a technical audit service of existing Asbestos Registers and Management Plans on all categories of building throughout the UK. 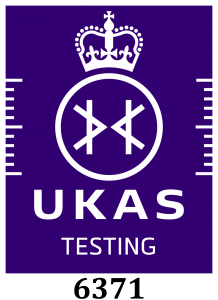 Many organisations such as colleges and universities were 'ahead of the game' in terms of having their initial asbestos surveys carried out. Unfortunately many of these surveys were performed under old guidelines and now need to reviewed. In some cases good initial surveys have become out of date as work has been carried out. In a lot of these cases it has been difficult or impossible for the client to update the initial Asbestos Register. This is because it has been provided in hard copy only or it could not be provided in an upgradeable format such as Microsoft Excel. written report with findings and comment on the adequacy, accuracy and extent of the existing survey and management plan. Our services are competitive and 'best value'. Prospective clients should be aware that there are a number of small operators that do not have appropriate insurance cover, who are offering asbestos audits. We are able to provide fixed price quotations or can work on a negotiated cost plus overheads and profit basis. Negotiation can be as part of a client wishing to subscribe to 'Egan' principles in relation to partnering in the supply chain.